Automaker BMW is Germany's most admired employer and a pioneer in profit sharing. So it came as a shock Sept. 30 when an investigative television documentary exposed the Nazi-era misdeeds of BMW's controlling shareholder family, the Quandts. The Silence of the Quandt Family highlighted how patriarch Günther Quandt, grandfather to the generation now controlling BMW (BMWG.DE), built a blood-stained wartime fortune on the back of slave labor and how he sidestepped postwar recrimination. The reclusive Quandt family responded to the documentary five days later, on Oct. 5, pledging to back a research project into the family's Nazi past and its role under the Third Reich, opening family archives and documents to an independent historian. "The accusations that have been raised against our family have moved us," said the family in a statement. "We recognize that in our history as a German business family, the years 1933 to 1945 have not been sufficiently cleared up." 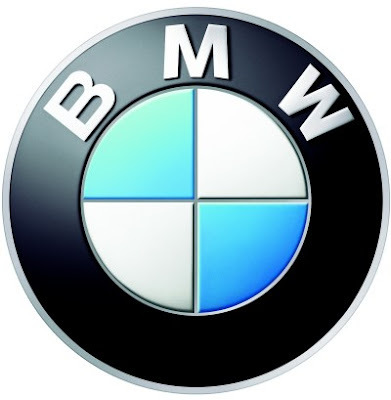 BMW, of which the Quandts became major shareholders 15 years after the war, was not implicated in the documentary. In keeping with its normal policy, the automaker made no comment about the Quandts, but noted that it has publically confronted its own wartime history via independent research projects. The TV program stunned Germany and triggered a raft of newspaper stories with headlines such as "The Quandts' Bloody Billions" and "A Fortune Stained in Blood." The hour-long documentary included interviews with former slave laborers who testified to the devastating conditions and atrocities which took place at Günther Quandt's battery company, Accumulatorenfabrik AG (Afa). Afa produced highly specialized batteries for the Nazi war machine, used in U-boats and V-2 rockets. It also produced munitions. "We were treated terribly and had to drink water from the toilets. We were also whipped," said Takis Mylopoulos, a forced laborer who worked in Quandt's Hannover plant. Based on documents unearthed by the filmmakers, Quandt estimated a "fluctuation of 80 prisoners per month," in his battery factory—a likely reference to expected deaths per month, the film claims. It also says that Quandt, who joined the Nazi party in 1933, wielded close family ties to the Nazi elite to grow his battery business. Sven Quandt, a grandson of Günther and the only family member to appear in the documentary, says that he and his siblings cannot be held responsible for their grandfather's activities. Afa had factories in Hannover, Berlin, and Vienna and was supplied with slave laborers from concentration camps who died by the hundreds, according to the documentary. One former Danish slave laborer testified in the film that he and other survivors, who were deported to a German concentration camp and sent to work at Afa, returned to Germany in 1972 to plead for financial support from the Quandts, since the harsh working conditions at Afa had resulted in lifelong ailments. The Quandts turned them away, the film says. "It's for me a step in the right direction that the Quandt family, after so many decades, finally is willing to face its history," says Carl-Adolf Sörensen, a former Danish resistance fighter who was sent to the Hannover-Stöcken concentration camp in 1943. Sörensen wants the Quandts to admit that Afa relied on slave labor from the camp. The Silence of the Quandt family was broadcast by Norddeutsche Runkfunk (NDR), an affiliate of the national ARD network, and was based on five years of research by authors Eric Friedler and Barbara Siebert. It premiered at the Hamburg Film Festival on Sept. 30 and was aired without notice on television later that night, at 11:30 p.m., reaching an estimated audience of 1.3 million. Some German commentators surmise the broadcast was not announced in advance for fear of legal interference from the Quandts to block the program. ARD officials denied the speculation and said they decided to air the program only after the Film Festival premiere. Despite his Nazi membership—and, as it now appears, his use of slave labor—Günther Quandt was deemed after the war to have been more of a "passive follower" than a convinced Nazi. But Benjamin Ferencz, a prosecutor from the Nuremberg Trials interviewed in the documentary, said that the facts revealed today likely would have led to Quandt's conviction for war crimes—similar to those meted out to members of the Krupp and Flick families. "Quandt escaped justice," Ferencz told the filmmakers. Industrialist Friederich Flick, by contrast, received a prison sentence of seven years at the Nuremberg Trials for deploying slave labor and for serving the Nazi war machine, but was freed in 1950. After the war, Quandt received his company, later renamed Varta (VARGK.F), back from the government and continued to build his industrial wealth—the fortune eventually wielded by his son Herbert in 1959 to buy BMW. Herbert's heirs, including wife Johanna, daughter Susanna Klatten, and son Stefan, today own a controlling 47% stake in BMW, which has a market capitalization of $42 billion. The Quandts also own a controlling stake in pharmaceutical giant Altana (ALTG.DE). The family's holdings are worth an estimated $34 billion. Despite its acknowledgement that the family's ties to the Nazis have been played down, the Quandt family members insist the details of Günther Quandt's past are not entirely new. A 2002 biography covered much of the same ground. 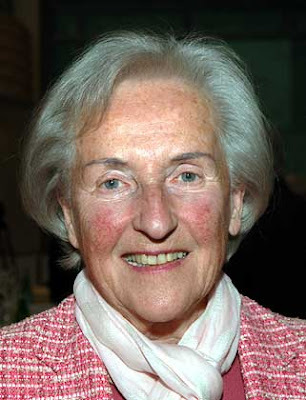 It's also been known that Quandt's wife Magda Ritschel, whom he divorced in 1929, remarried Nazi propaganda minister Joseph Goebbels in 1931 and that Goebbels adopted Quandt's son Harald. Adolf Hitler acted as witness at the wedding. Many German companies including BMW, Volkswagen (VOWG.DE), and Deutsche Bank (DB) already have explored their own wartime collaboration and misdeeds during the Nazi era, publishing books, turning over documentation to experts, and paying millions of dollars into funds distributed to forced-labor survivors. Volkswagen's book documents its deployment of 20,000 slave laborers during the Third Reich. In 1999, BMW and other German companies founded the "Remembrance, Responsibility and Future" foundation, which provides compensation to former forced laborers. 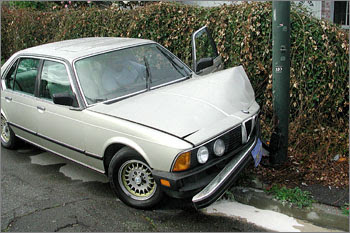 The Quandts, by contrast, have remained silent about their past, perhaps fearing a global public backlash against the BMW brand. Until now, the family has refused historians access to its Nazi-era historical archives and papers—and it still has not acknowledged that Afa factories made use of slave labor from concentration camps. The Oct. 5 statement by the family noted that Quandt-owned companies BMW, Varta, and Altana, as well as individual family members, contributed to national funds established to compensate former slave laborers but did not mention the sums contributed. Edmondson is a senior correspondent in BusinessWeek's Frankfurt bureau .